The prospect pool has gotten deeper. 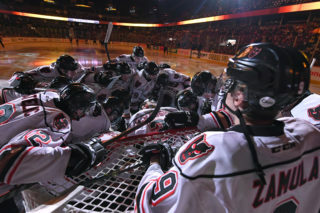 At Thursday’s 2018 WHL Bantam Draft, with their 10 picks the Hitmen set themselves up for future success with a well-rounded draft class. 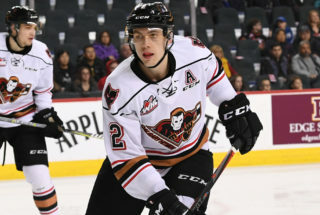 Overall the Hitmen selected five forwards in Sean Tschigerl (4), Tristan Zandee (36), Zachary Funk (43), David Hymovitch (69) and James Gibson (71). 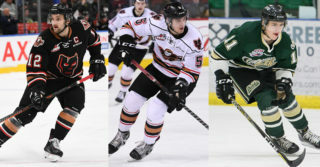 Four defenceman were then added to the draft class in Tyson Galloway (25), Rory Neill (62), Jacob Romanchuk (113) and Rylan Jockims (135). One goaltender was also selected as hometown kid Marek Pocherewny (47) was taken in the third round. The forwards as a whole are a group that can score at eye-opening rates as they have a combined this past season for 277 points to go along with 119 goals. 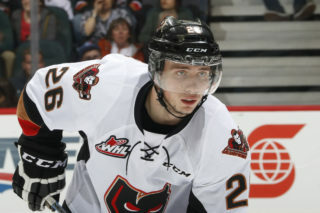 Hitmen General Manger Jeff Chynoweth pointed out that including their skill offensively, these players have more elements to their game that make them even stronger. On the defensive side of the puck, the prospects selected have proven to have the ability to shut down the opposition with their tough, reliable play in their own end. The four defenders combined for 122 points in 2017/18 while putting the puck in the net with 48 markers. 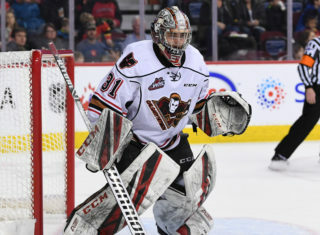 Goaltender Pocherewny was busy taking care of business all season long, setting an impressive .953 SV% to go along with a sparkling 1.06 GAA in 18 games played. The numbers are a significant jump from a season ago when he set a 2.31 GAA and .877 SV%. Although the 2018 draft class won’t be eligible for the 2018/19 season, they’ll be able to show what they’re all about during Training Camp in the fall, and will be watched closely once they return to their respected teams.